I’m Zeyu from Shanghai, China, and I’m in the rising senior year in my high school. I’m interested in archaeology and I lead the archaeological club at school. When I tried to figure out a place where I could spend a meaningful summer, Achill caught my eye. 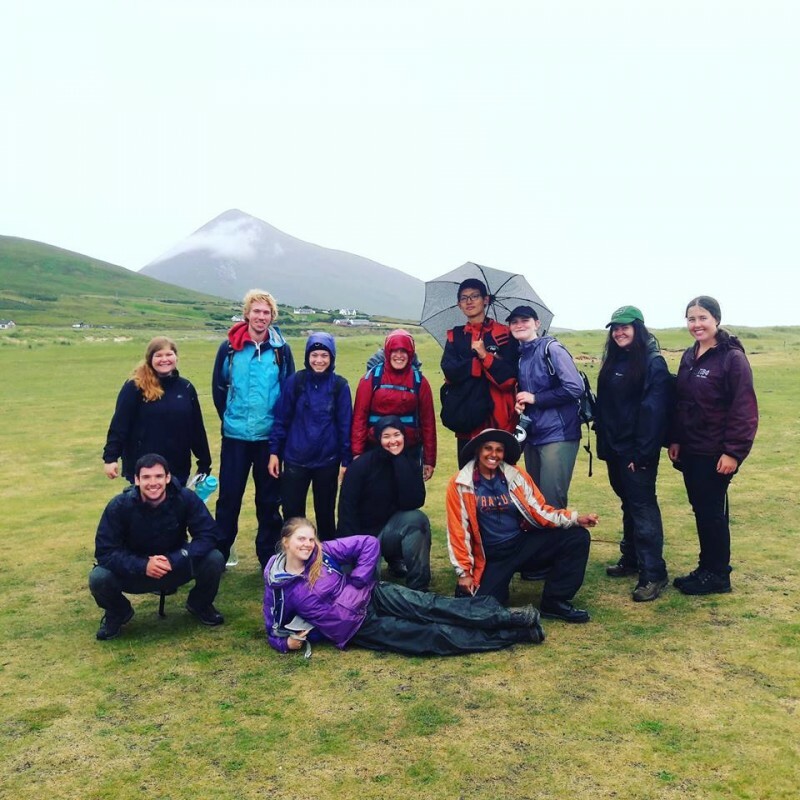 Seeking an opportunity to gain some practical archaeological experience, and intrigued by its geographical uniqueness, I joined this archaeological excavation team on this remote island on the west coast of Ireland with teammates from all over the world interested in archaeology. My experience collaborating with diverse members on our team taught me not only hands-on archaeological experience but also the benefits of peer collaboration and the value of cultural diversity. In a four-week term, I learned section drawing of a shell midden, plan drawing of the house to be excavated, and, eventually, digitizing on the computer. I also began to use the shovel and trowel removing topsoil, the wheelbarrow carrying sand, and the sample bags for collecting finds and animal bones. I understood what archaeologists do as daily work which gave me a new perspective of archaeology. The hard work was rewarding because it brought together my classroom knowledge with hands-on discovery. This experience also helped me see how cultural differences shape the world. Just as Ireland is a hybrid of Norman, Vikings, and local culture, my team was culturally diverse. I enjoyed hearing my friends share their different lifestyles from countries around the world. I saw how our diversity benefited our team, making us more active and collaborative. When we faced challenges, we could draw on each person’s diverse knowledge and perspective to solve problems. I learned knowledge that I would not have learned in my native culture, which helps me interact with people from other societies. In Achill, I gained not only technical knowledge but a global vision, which has shaped me to think broadly and to find connections between cultures. What’s more, as I am applying for university in different countries, I firmly believe this experience will be a stepping stone to my further pursuit in archaeology.